Backyard Bee Hive Blog: How much does Venom Immunotherapy cost? How much does Venom Immunotherapy cost? The protocol for Venom Immunotherapy (VIT) is pretty straightforward, yet it's nearly impossible to get a straight answer on how much it costs. Here's what I know. This information is based on my experience at Colorado Allergy & Asthma Centers. I'm working on a post based on my experience with Kaiser-Permanent in 2017. Build-up and maintenance. For the build-up phase, the allergist determines which venom antigens you need based on skin testing. In my case it's honeybee, paper wasp, whitefaced hornet, yellowfaced hornet and yellow­jackets. The first two antigens must be injected separately, but the vespid antigens are mixed into one injection. During build-up, you get micro­doses of the antigens twice a week (must be a full day apart). If you're going to do this, pick a location that's convenient to you, to make the many many trips. With each visit to the injection center, they increase the amount of antigens you receive until you can take the equivalent of two stings. Your immune system is supposed to become increasingly "desensitized" with each dose. If you develop large localized reactions (a welt at the injection site bigger than your palm) or have any symptom indicating a systemic reaction (like coughing or bloodshot eyes), they will knock you back down and repeat a few levels of the treatment. * This is why Phase One takes from 12 to16 weeks. Once you've received the equivalent of two stings and don't have an overreactive immune response, the allergist will migrate you to the second phase, a monthly maintenance dose. Monthly means once in 4 weeks but don't let the nurse convince you to "shoot for the 15th every month." If you exceed the allowable days-between-shots and they may drop you a dose, which means a mini-build phase (i.e. : an extra trip that week and another $25 for the lower dose, plus a trip and another $25 to get back to where you already were). Repeating doses draws from and depletes your antigen vials, so kaChing! What constitutes "allowable days"?. Well, that depends on how long you've been at maintenance. If you're only recently there then 30 days might be the max. If you've been at maintenance for, say, a year, then you might get away with 49 days. One PA I know will let you go as long as 60 days! Antigens and injections. At CAAC, a single injection is $20, but multiple injections is only $25. Lucky me, I get a volume break. The therapy takes 3–5 years to complete but there's a high front-end cost to the therapy. If you're close to meeting your deductible, the start-up costs'll do it for sure. There's your sensitivity testing, and the first batch of antigens that you burn through by getting shots twice a week. (The dilutions expire within weeks so it's really important to not miss a shot. #1 you'll get dropped down and have to repeat doses. #2 the lab will have to mix up a whole new batch of diluted antigens just for a few shots.) At $1,116 a pop, those bottles of antigen add up to quite a bit of money. Call your insurance company (or your allergist's finance department) directly to inquire about your cost for antigens and injections. Venom antigens are not like pollen/mold/dust/normal antigens, which represent the vast majority of their experience. Press them on venom-specific information because they may say something like, "Antigens are good for a year," leading you to believe you're looking at an annual cost when in reality you're probably looking at antigen renewal every 6 months. Some practices mix up custom vials for each patient and the patient pays up front for entire vials. Others draw from a pool and patients only pay per injection. My out-of-pocket costs might actually be less. I get a 20% discount if I prepay as a cash patient, but I'm not sure if that's better or worse than going through insurance. The insurance company won't tell me what the "preferred provider" rates will be, and with so many insurance coverages, the allergist's office will only give a vast ballpark range. All I know is the $800 trip to Urgent Care ended up running me $350. I can only hope that all the above quoted items end up being discounted similarly. On the other hand, my girlfriend (who made me eat comb honey on peanut-butter-and-cheese crackers right before my appointment to get my braces off) got stung by a yellowjacket while she was partway through her maintenance phase and nothing! She said, "I'm good," and didn't get any more allergy shots. She's a 1-in-10, too, so that's the happy ending I'm hoping for. *Take an antihistamine 30-60" before getting your shots to help mitigate redness and swelling. Some patients may need to take 2. If you continue to have large locals, ask your allergist if a prescription for Singulair is in order. Thanks so much for sharing this. It's so hard to find information about the costs. Even from the allergy doctors! Now I feel like I can make an informed decision. 2016 UPDATE: In the ever changing landscape of health insurance I am on my 3rd carrier, so here is a quick comparison. Anthem BC/BS provided an average discount of 20%, United Healthcare an average 35% discount, but Kaiser-Permanente which provides 0% might actually be my best "coverage" yet. Since the allergist is out-of-network, I'm converting to a "cash patient" and the cost of allergens for a cash patient is WAY less than what they charge an insurance company. For paying in "cash" I am rewarded with a 20% discount, bringing the cost of my semi-annual antigens down to $520. My claim through UHC just 4 months ago rang up at $768. Thanks for sharing that information @Alisa. Lots if useful information through your link! 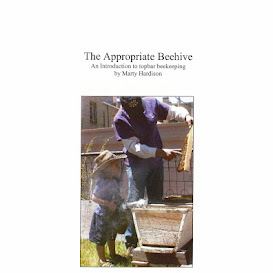 "Bee Culture" shared this with us. "Because the sting keeps pumping venom into the sting site, scientists are realizing that the method of removal isn’t nearly as important as getting the sting out-ASAP. In the past, the rule of thumb was to avoid pulling the barb out with fingers or tweezers. The thinking was that more venom would be squeezed in. Now scientists are advising speed over precision. Forget digging around in your wallet for a credit card to scrape it. Unless it’s handy, that wastes time. Studies have shown that leaving the stinger in just eight seconds can increase the size of a bee welt by 30%. It doesn’t really matter how you remove the sting; just flick it off as fast as possible. Your hive tool is the perfect scraper, by the way."